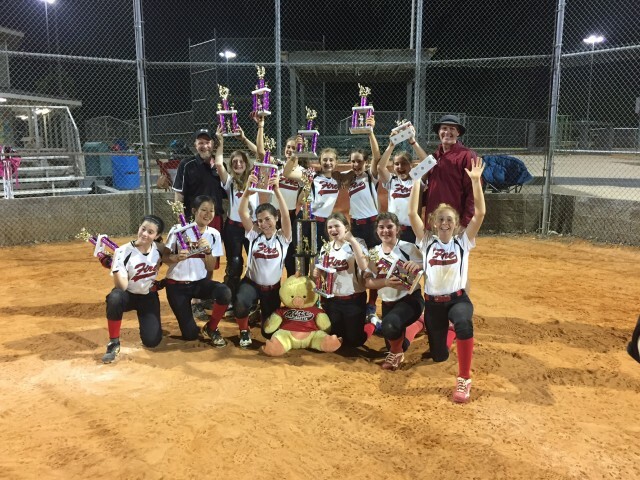 Updated Monday May 15, 2017 by Alpharetta Youth Softball Association (AYSA). The 2004 Fire took 1st place in the 2017 GSA “State Tournament” on May 13th. After winning all of their pool games, they lost the 2nd bracket game and had to win 3 straight games to win. That required beating the team they lost to in back to back games to win the championship. They played 7 games in all that day. We are very proud of their stamina and never give up attitude as they represented our wonderful Fire program and AYSA family.